It seems Valve’s legal odyssey in Australia has finally come to an end. 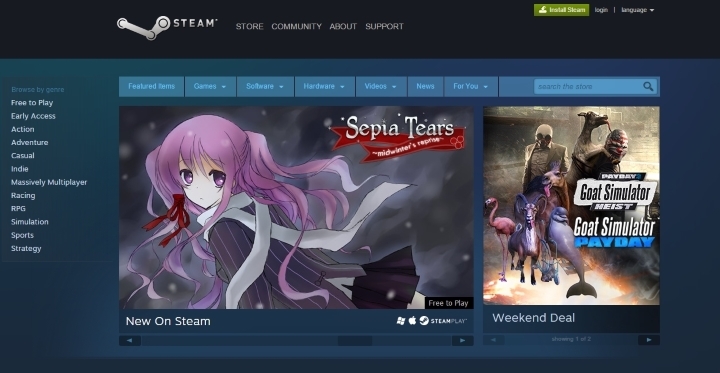 After being sued by the Australian Competition and Consumer Commission (ACCC for short) and losing in 2016, the company behind the world-conquering Steam video game platform filed an appeal last year, which was dismissed by an Australian court. The company headed by video game entrepreneur Gabe Newell fought back though, and brought the matter to an Australian High Court once more in a final appeal. But this appeal has been dismissed too, meaning that the US company must pony up a fine of almost $3 million Australian dollars (about $2.4 million) for what the court considers to be past wrongdoings in the way it conducted business in Australia prior to 2015, as reported on CNET. And what did Valve do wrong in its Australian dealings prior to that year? You see, the ACCC was miffed by the fact Gabe Newell’s company did not allow refunds on Steam until June 2015, meaning millions of Australian consumers were not covered by a refund policy when buying digital games on Steam prior to that. Of course, as is the case in most countries worldwide, Valve saw no reason to offer refunds for digital games even if it did so in very specific cases, and this was only after plenty of prodding by end users to get the matter solved. The ACCC however, thought those selling digital goods should offer the same level of consumer protection as any brick and mortar store out there. “If customers buy a product online that is faulty, they are entitled to the same right to a repair, replacement or refund as if they’d walked in to a store”, ACCC Commissioner Sarah Court said. And the good thing is that thanks to the ACCC’s actions Valve now offers refunds worldwide for Steam games, allowing players to try a game for two hours over a 14-day period in order to decide whether it’s their cup of tea or not. Regarding the fine imposed on Valve, I wouldn’t feel so sorry for the US company, which reportedly makes hundreds of millions each year via Steam sales, and has done more good than harm to the PC gaming industry over the years. So, hopefully and in spite of this legal setback Steam will continue to grow and offer the same great experience to PC gamers as it has done to date.